Dubai, UAE:”YouTube allows people anywhere to share their stories with the world. They share their sense of humor, their talents, their opinions, what’s happening around them and within them. YouTube is also a community, and over the years, people have used the flagging feature located beneath every video and comment to help report content they believe violates our Community Guidelines. 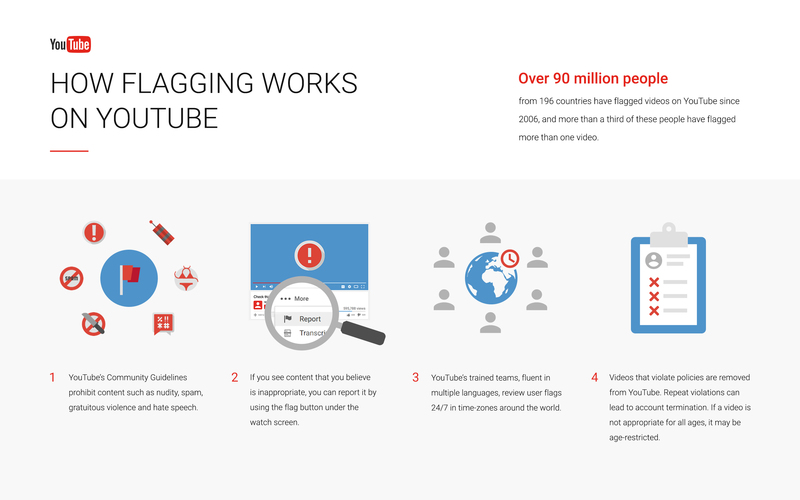 Over 90 million people have flagged videos on YouTube since 2006 – that’s more than the population of Egypt – and over a third of these people have flagged more than one video. We’re also continuing to strengthen our policy enforcement processes: In 2015 alone, we removed 92 million videos for violation of our policies through a mix of user flagging and our spam-detection technology. While we are vigilant and fast in removing terrorist content and hate speech, it’s worth noting that it actually represents a very small proportion of the content that violates our guidelines – those two violations account for only 1 percent of the videos removed in 2015.